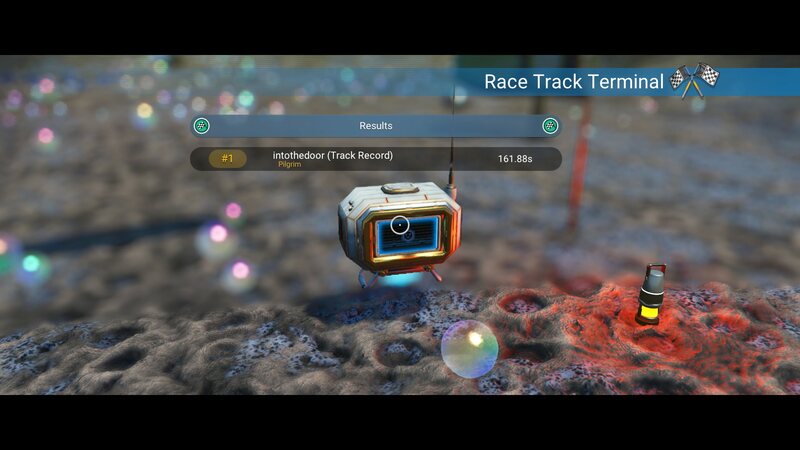 This article was cataloged by the Galactic Hub Budullangr. 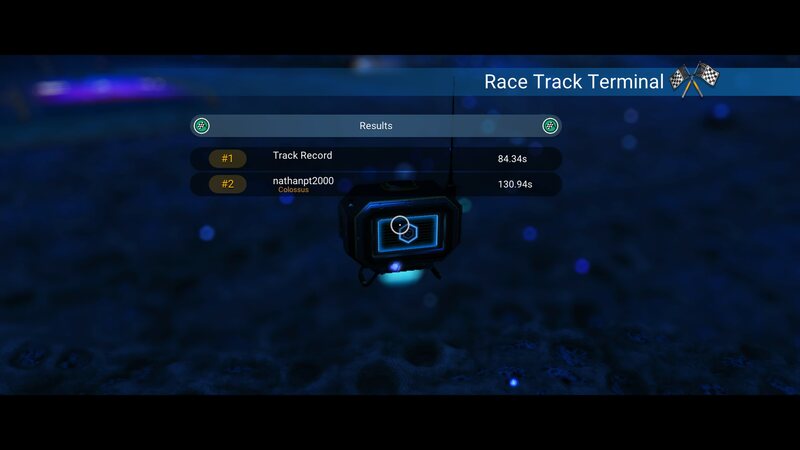 Budullangr Exocraft Racing is a racing-related page. 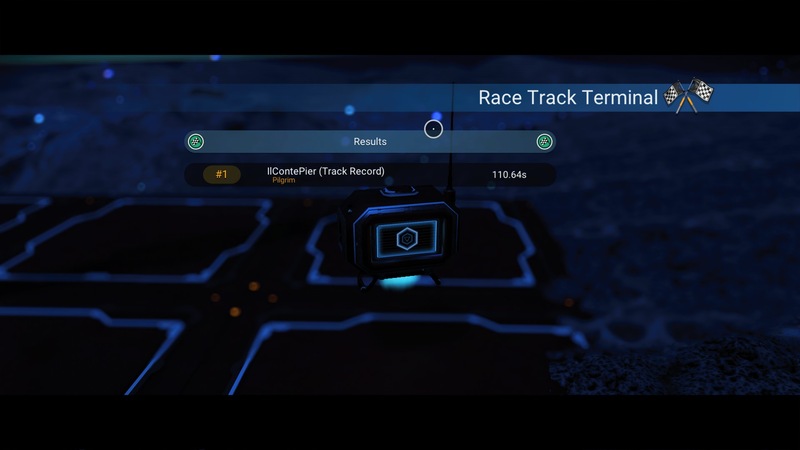 6.3 Track 3: Fast & Furious! 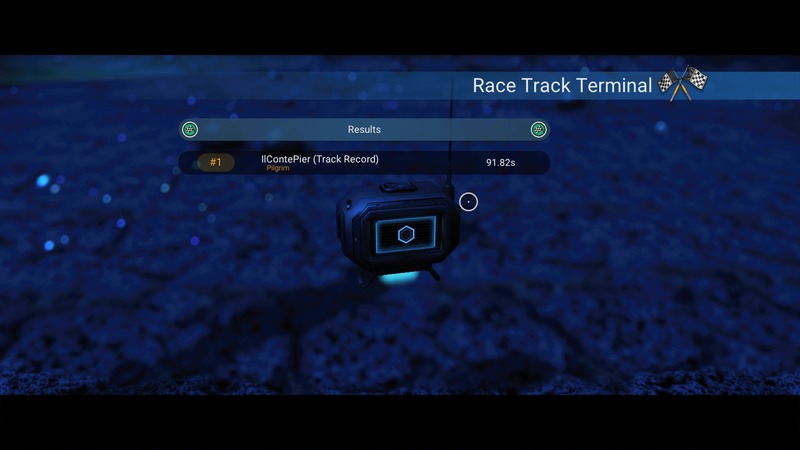 Budullangr Exocraft Racing is a Compilation of Racing Adventures in the Budullangr Galaxy. 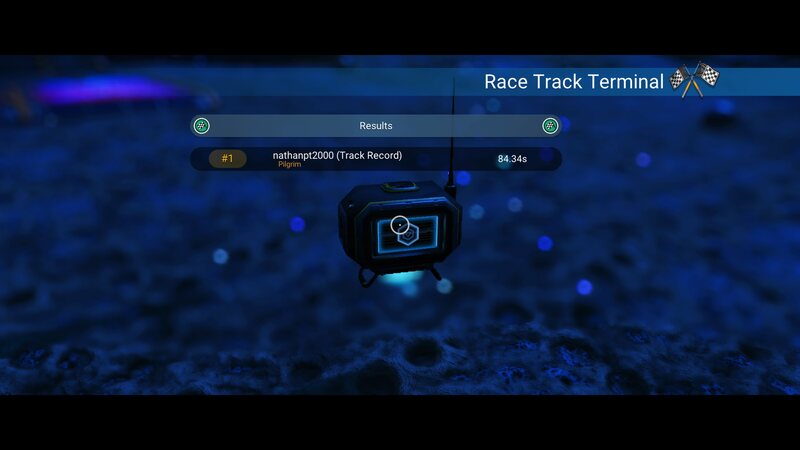 Race Tracks added to the NMS wiki will be given a difficulty rating of 1-5 by the Race Commissioner. 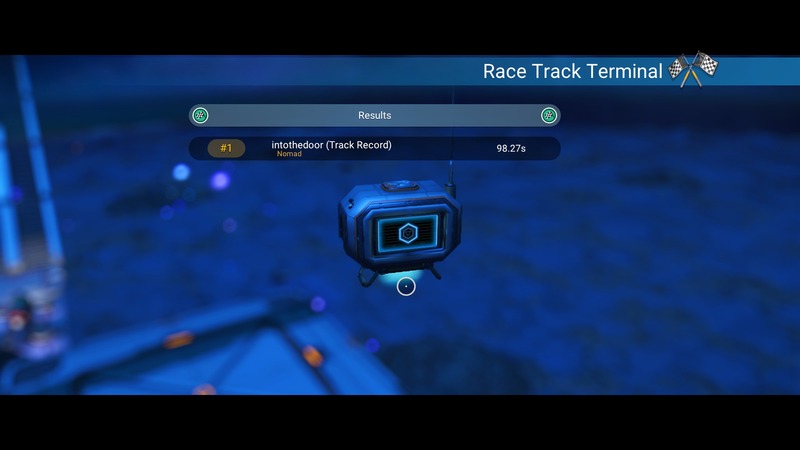 All racers should have fully upgraded Exocraft. Drift, Slide, and Grip suspension modules are at racer's discretion. 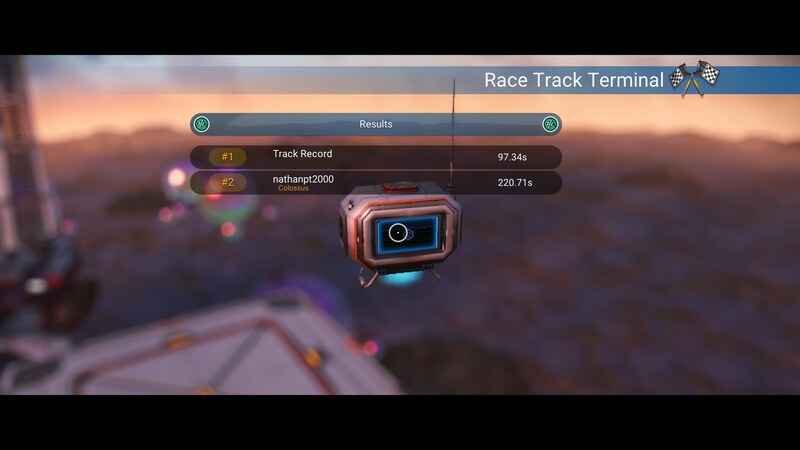 Encourage racers to use '*recommended' Exocraft to gain proficiency on racetracks...and for leading records! Only Finish Line screenshots or video posted to the Budullangr sub-Reddit or on PSN are accepted for official times. Racing Commissioner's duties include monitoring of incoming track records and posting to this leaderboard. 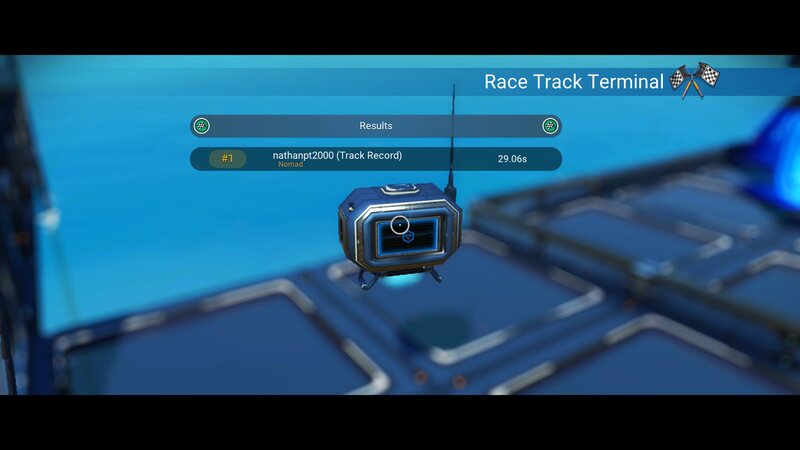 Records are subject to discretion and disqualification on behalf of the Budullangr Exocraft Racing Staff -if image editing is suspected. 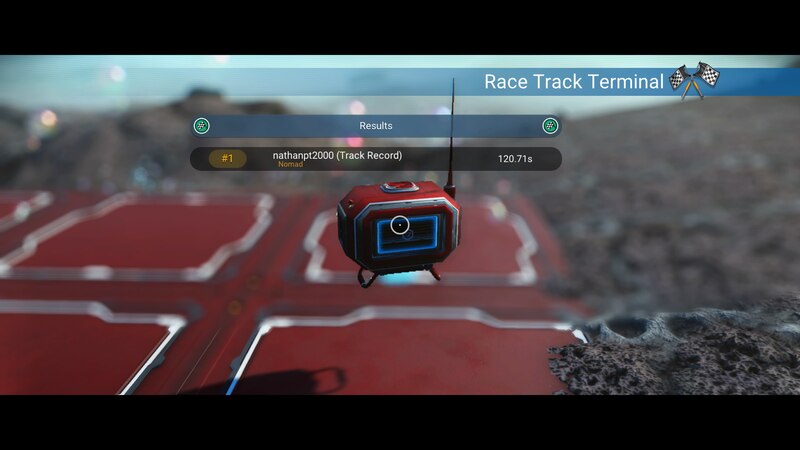 If creating a new Race Track, please leave at least 300+u between bases/tracks. 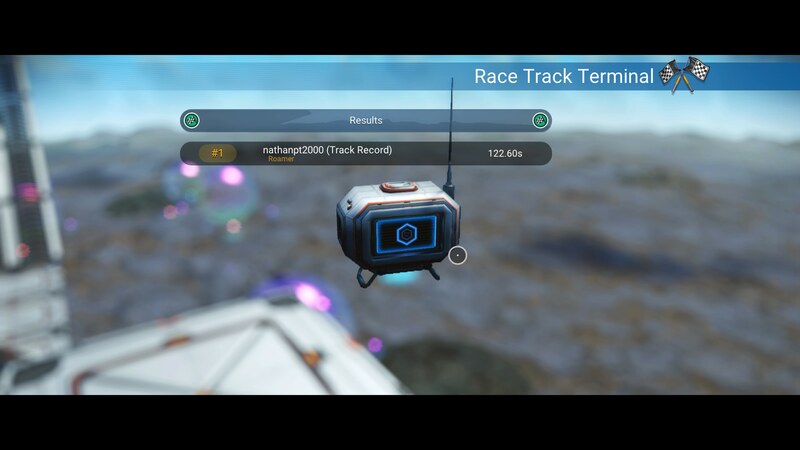 Please contact Exocraft Racing staff above with any questions. 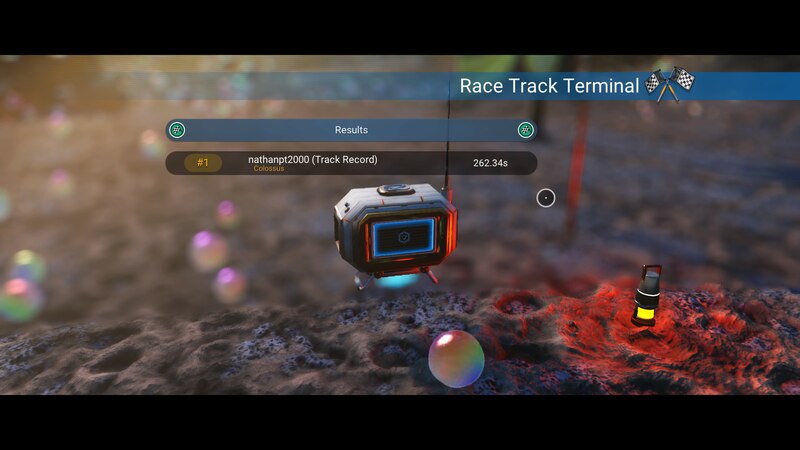 Please- no more than -5- tracks per Planet or Moon. 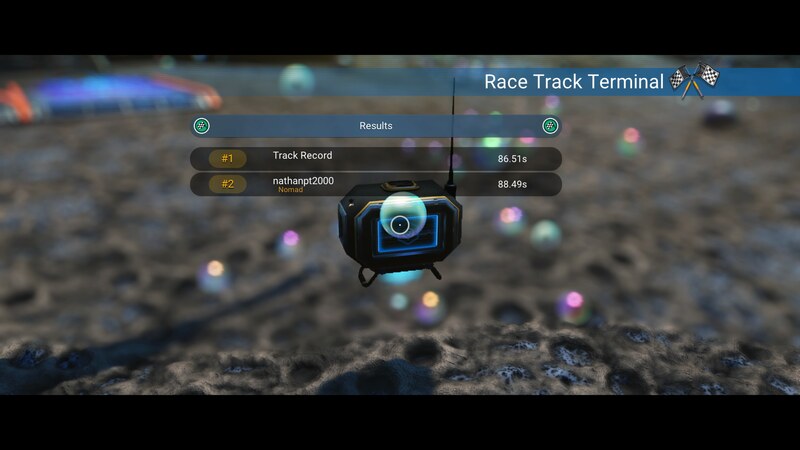 BubbleMoon Racing Circuit (BRC) consists of -1- Exotic rocky moon and -1- floating rock planet that are both brimming with bubbles and gorgeous scenery! 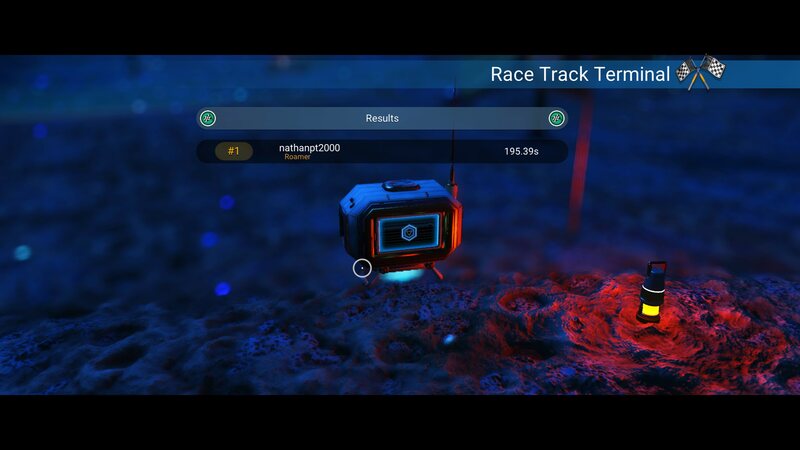 Each Racing locale has at least 3-4 unique tracks of varying difficulty, plus tracks are in close proximity...drive your Exocraft from race to race! 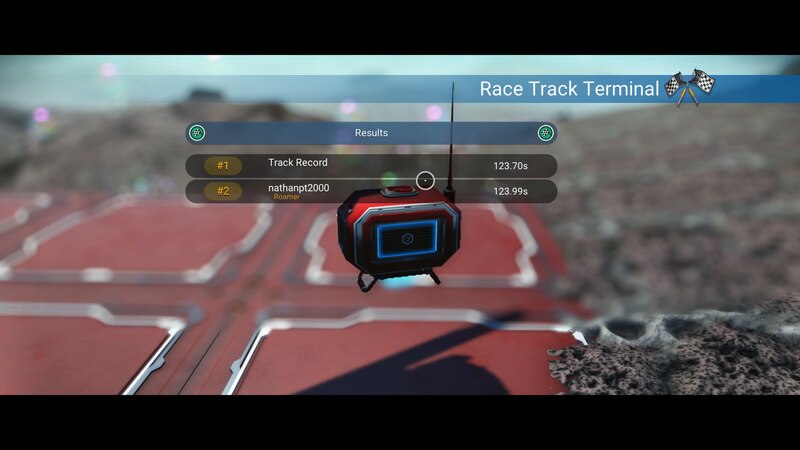 Tracks are created by multiple players...one special track even reaches high into the sky! 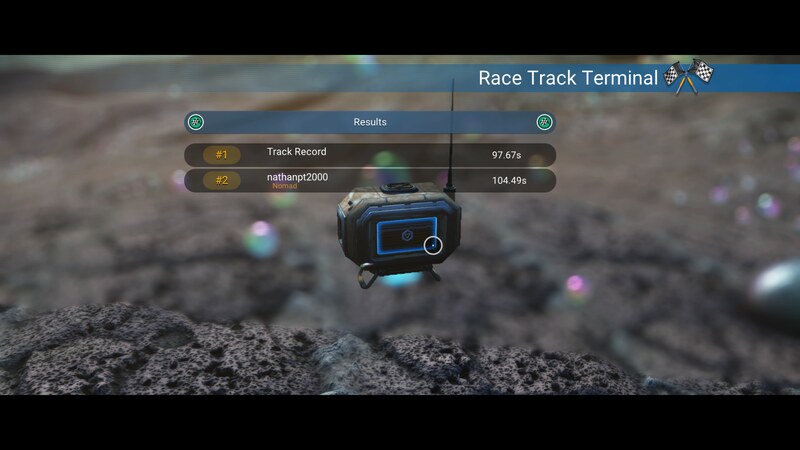 All of the races are fast & fun...and all have unique challenges! 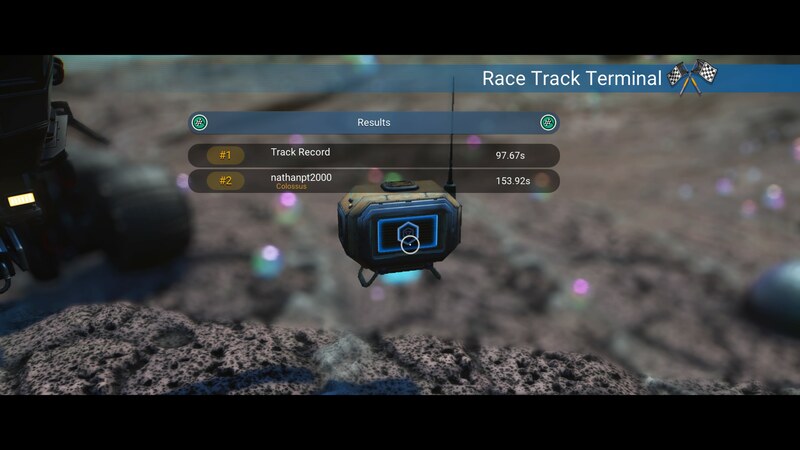 Racing enthusiasts are encouraged to place their own tracks nearby (please refer to guidelines above). 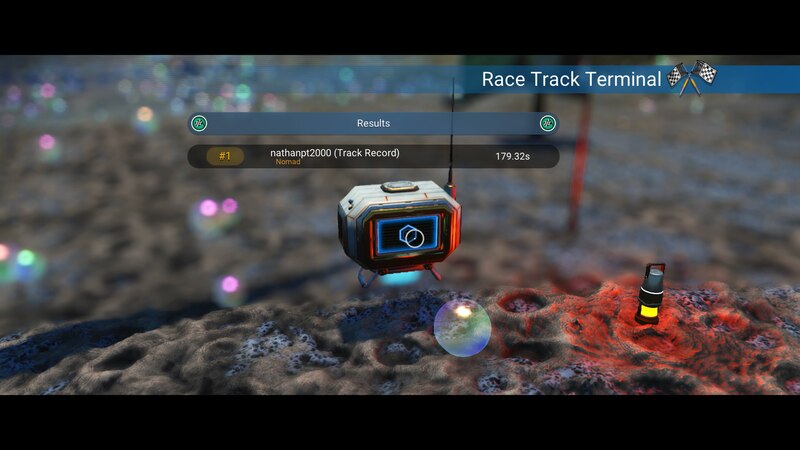 Portal: 2028F8555C2F Entry on Tropical planet, BubbleMoon is a 7 second trip away. 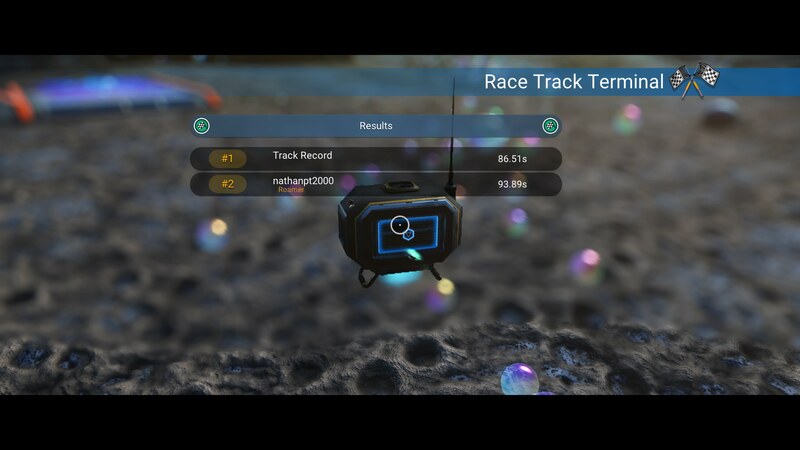 BubbleMoon Racing Complex : BRC HQ and first track. The location houses the Race Circuits Clubhouse and Registration Area. 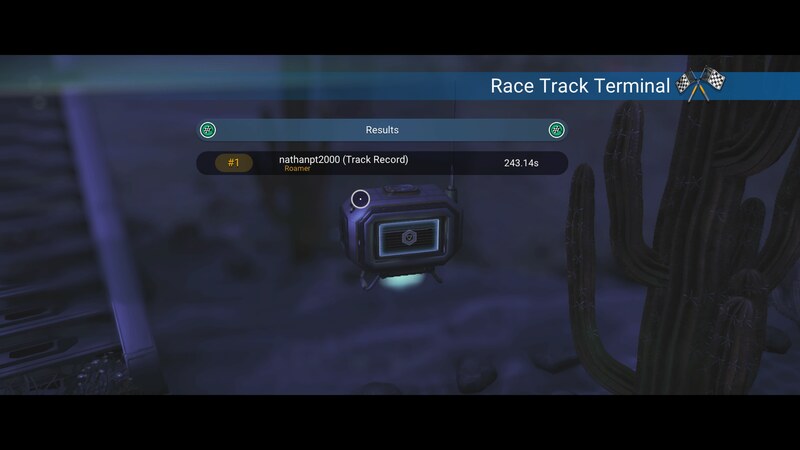 This Complex also has other amenities and an exciting Anomaly Jump!" 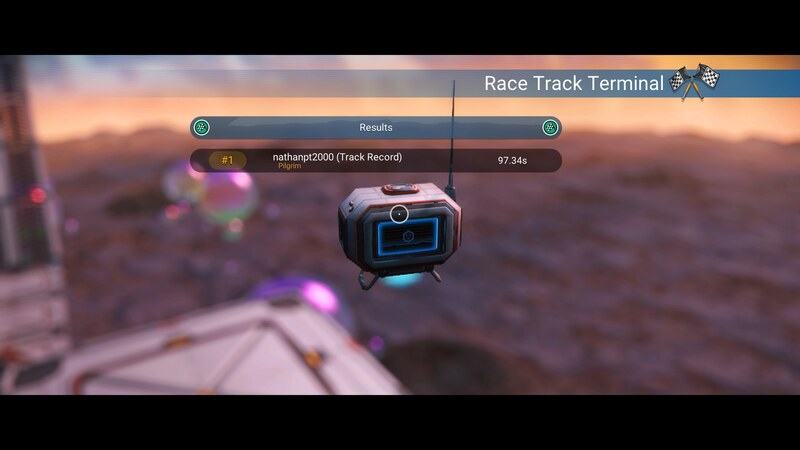 Extra racing respect for completing this race in Colossus...a real challenge! This page provides documentation for GenBra Space Corp., an exploration entity. 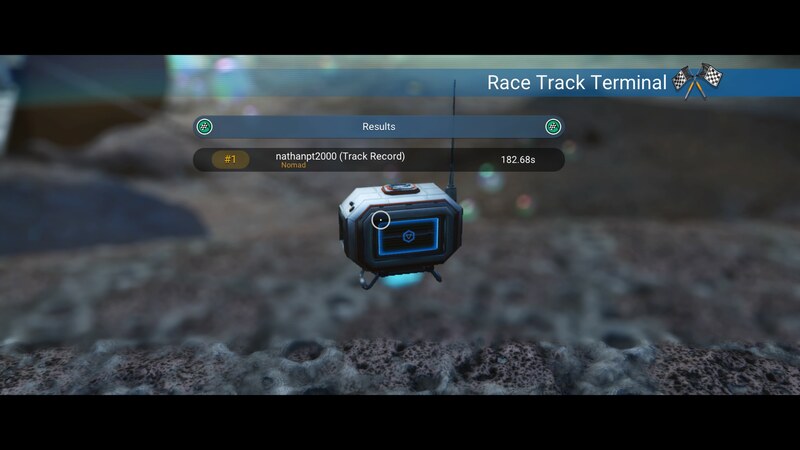 This page was last edited on 20 February 2019, at 05:39.